It's not all horror stories for women working in tech. The problem is, the positive stories often aren't as visible. 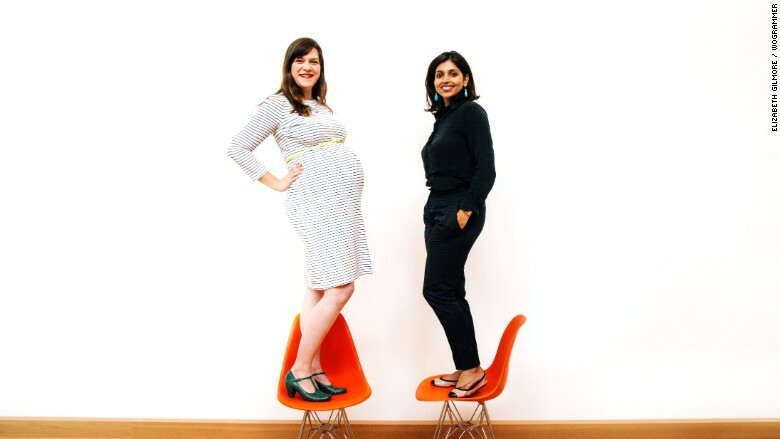 Two Facebook engineers -- Zainab Ghadiyali and Erin Summers -- set out to solve that problem. They launched a site called wogrammer to spotlight female engineers and change the conversation surrounding women in tech. "I'm tired of being asked, 'What are the unfortunate things that have happened to me as a woman in tech?'" said 31-year-old Summers, who works on Oculus. "We'd much rather be asked about our technical accomplishments. Our goal is to talk about the things that we are proud of." Workplace harassment, unconscious bias, and a focus on family and marital status are all too common in tech, according to a recent study. "It's important to talk about the biases -- but that's just one part of the story," said Ghadiyali, 30. "A huge part of the story is also about a woman's success in this field." Ghadiyali, who earned her master's in industrial engineering and worked as a research assistant in health care, said the fact that gender played any role in the workplace never occurred to her until she joined Facebook (FB) in January 2013. She said people kept asking the same question: What is it like to work there? "The first time I got asked that, I didn't understand what the question meant," she said. Facebook, like many tech companies, has few women working in technical roles. Facebook's most recent diversity report, released in June 2015, revealed that just 16% of its technical roles were filled by women. Ghadiyali quickly bonded with Summers -- they started the same day at Facebook -- who felt the same about getting asked that question. In the summer of 2014, they launched wogrammer. They featured various engineers around the globe, highlighting their careers and projects, with the hope of providing new role models for women and girls. "When I was a young girl, I thought maybe I'd be a nurse, a doctor, a social worker," said Ghadiyali, who recently gave a TEDx talk on her work with wogrammer. "I never saw myself as an engineer. I just wish I had [seen] role models." Over the past year-and-half, the women have profiled roughly 115 women in 100 countries. There was Barbara Ojur, an engineer in South Africa helping Africans build their own games; Kathy Pham, a founding team member of the U.S. Digital Service, who worked at IBM (IBM) and Google Health; and Rabeb Othmani, a software engineer at MixRadio who is Muslim. Today, wogrammer reaches 200,000 people every month. In February, the women turned wogrammer into a nonprofit. There are volunteer-run chapters in New York City, North Carolina and Seattle. And soon, there will be wogrammer, the book, as Ghadiyali and Summers are working on a collection of stories. One thing they've noticed? It can be hard to get women to "brag" about their work successes. "The natural thing for women is to say, 'I'm proud of being a great mom, a great mentor.' It's difficult to get them to showcase themselves and their accomplishments," Summers said.